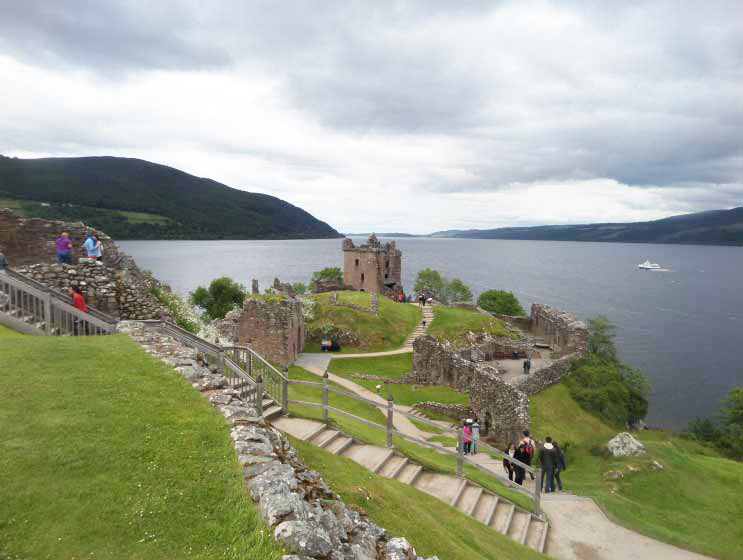 Castle Urquhart stands on a prominent outcrop of rock known as Strone Point on the north shore of Loch Ness. The castle is ideally situated to maximise the defensive nature of its surroundings and to control the surrounding waters. 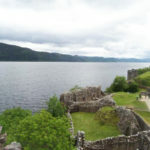 Loch Ness itself is perhaps more famous for its occupant, however Urquhart Castle throughout its history has played a key role in shaping the history of Scotland. The pre-historic records for the site itself are unclear but it is believed to have been occupied in some capacity for around 4000 years. About twenty minutes drive west of the site is an ancient burial cairn at Corrimony dating from 2000 BC. You would pass this ancient site if you were to visit Corrimony House another Clan Grant site. There is mention of a Pictish nobleman called Emchath living at the site in the records of St Columba as he travelled throughout Scotland sometime before 597. 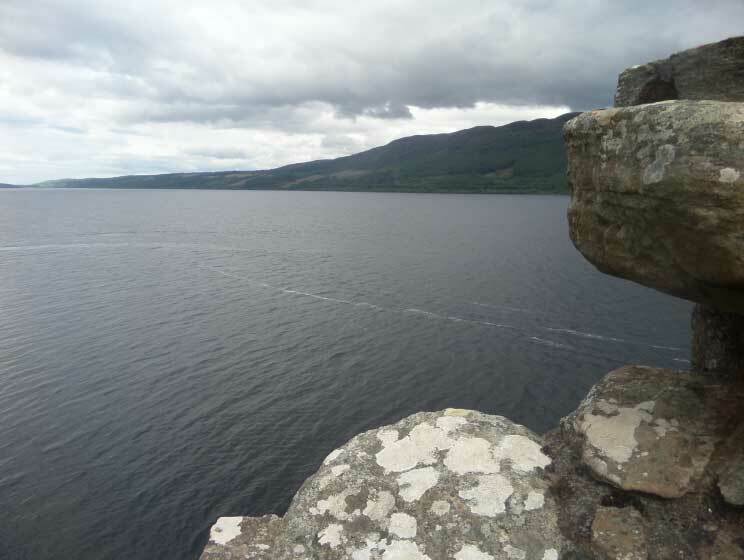 St Columba having already made the first recorded sighting of the Loch Ness Monster in 565. The earliest record of an actual castle on the site dates from the 1220’s when the Durward family established a stronghold there. This followed an uprising by the people of Moray to the north east against the rule of Alexander II. 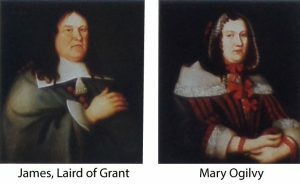 Durward family had assisted in putting down the uprising so the king had granted them lordship of Urquhart. 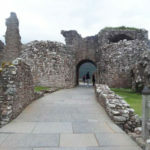 After Alan Durward’s death in 1275 the castle passed to John Comyn, appointed by Edward I of England who by this time had gained control of most of Scotland. 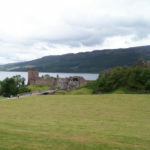 Over the following centuries the castle changed hands several times during the Wars of Scottish Independence until 1357. 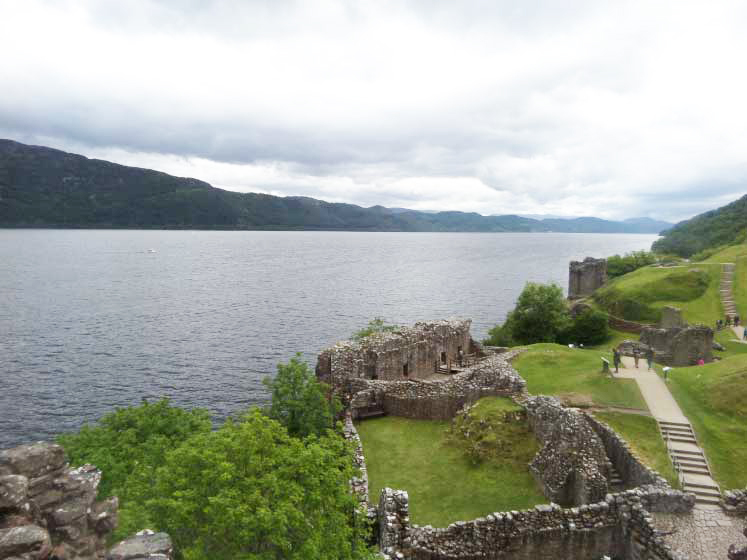 The castle was controlled by the crown for long periods of time only to be wrestled back by the Scots including Robert the Bruce. 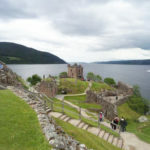 Even following the Wars of Scottish Independence the castle was subjected to several raids by the MacDonald Clan, Lords of the Isles who controlled a large section of western Scotland ruling an independent kingdom there. 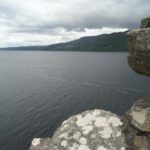 In 1452 John Domhnall (or John MacDonald, chieftain of Clan Donald and Lord of the Isles) whose grand father Domhnall of Islay had previously occupied the castle returned and successfully recaptured it claiming the Lordship of Urquhart. In 1462 John made an agreement of support to side with Edward IV of England against the Scottish King James III. 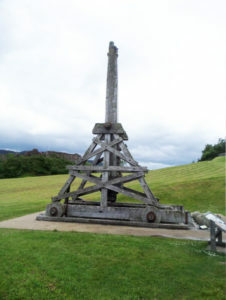 When James became aware of this in 1476 John was stripped of his title and the castle and lands were given to one of the kings allies the Earl of Huntly. 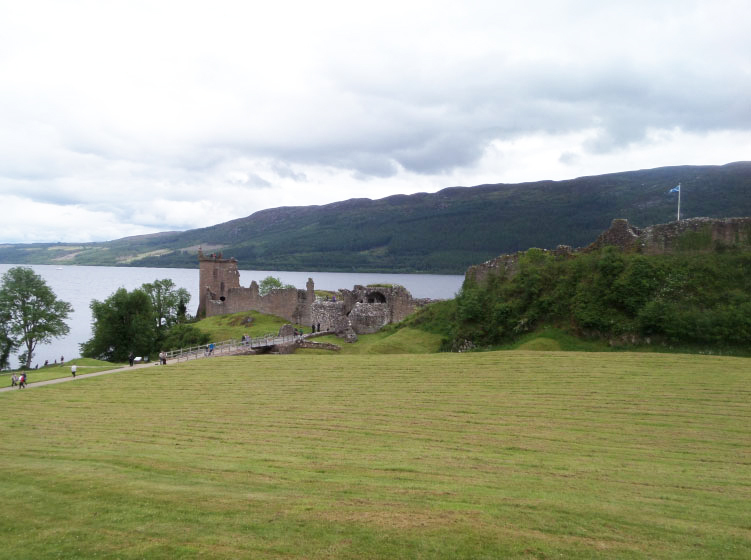 The Earl of Huntly who resided far to the east of Urquhart Castle brought in John Grant of Freuchie to restore peace to the area. In 1502 having been successful in holding the area his son also John Grant of Freuchie was granted the castle and its land by James IV. The Grants would go on to have ownership of the castle until 1912. 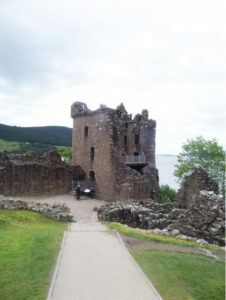 In this time the castle was subjected to further raids from the MacDonald Clan. In 1513 the MacDonald Clan raided and occupied the castle but it was retaken in 1517 but not before a large quantity of livestock was stolen. 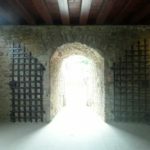 There was another raid by the MacDonald Clan in 1545 which left the castle stripped of furniture, cannons and even more livestock. Again the castle was retaken by the Grant Clan. During the 1600’s there was a local Gaelic Bard and castle rustler called Dómhnall Donn who fell in love with the Laird of Grant’s daughter Mary. The Laird of Grant did not approve of this suitor for his daughter and he had him imprisoned in the castle and eventually beheaded. In later years the castle was viewed as a less favourable residence when compared with more opulent homes such as Castle Grant. In 1644 the castle’s last noble Grant to use the castle as their home was Mary Ogilvy, mother of James, Laird of Grant. She was very unpopular with the locals and the castle was ransacked. 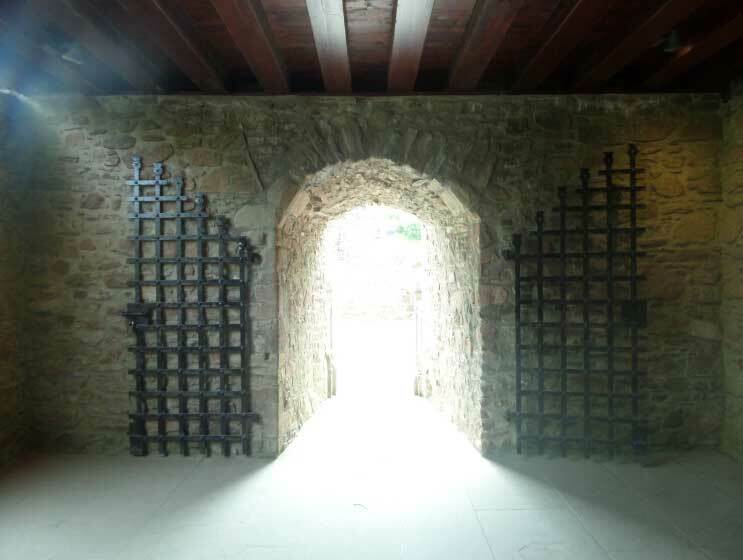 The castle was used as a garrison after that. In 1688 Ludovic Grant of Freuchie who supported William of Orange was stationed at the castle with 200 of his men when a 500 strong force of jacobites who supported the exiled James began laying siege to the castle. The Grants were able to hold out against this attack until the main Jacobite force was defeated at Cromdale in 1690. 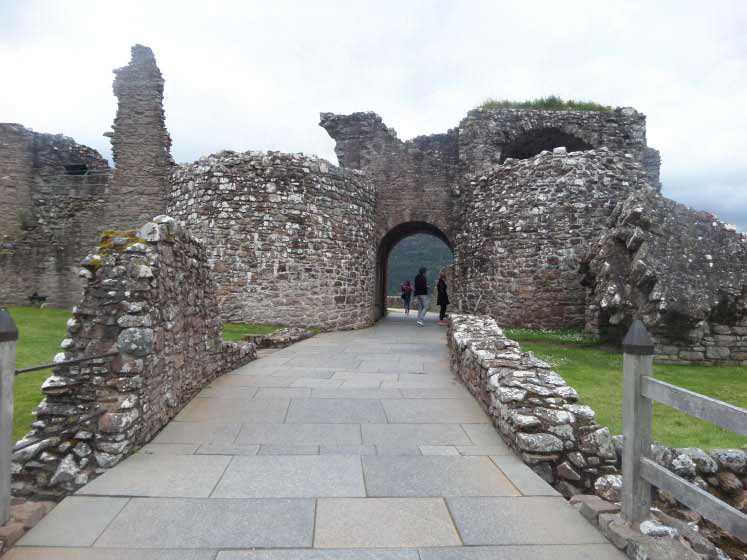 When the soldiers eventually left the castle they blew up the main gatehouse to prevent it being used as a stronghold by the remaining Jacobite forces. Parliament declared that the Grant Clan would be compensated for their support with £2000. This money however was never received. Over the years that followed the castle fell into disrepair with the tower partially collapsing in a huge storm in 1715. The castle material also began to be taken and in 1717 ten tonnes of lead which had been stolen from the roof was found in a nearby cottage. Following the death of Ian Ogilvy-Grant the 8th Earl of Seafield, buried within the Duthil Old Parish Church, ownership of the castle passed to his mother Caroline, Dowager Countess of Seafield. On her death in 1912 in accordance with her will the castle passed into state care. The present visitors centre was built in 1994 and has been attracting visitors from around the world ever since.